PHE have published the latest figures on scarlet fever which continues to rise in England. Public Health England (PHE) has reported a continued significant increase in scarlet fever notifications across England with 883 new cases reported from 24 to 30 March: the highest weekly total across all weekly records available since 1982. We are continuing to see increases in scarlet fever notifications across England and are working closely with healthcare professionals to try and understand the reasons behind these increases and do our best to reduce the impact of this infection. PHE urges people with symptoms of scarlet fever, which include a sore throat, headache and fever accompanied by a characteristic rash, to consult their GP. 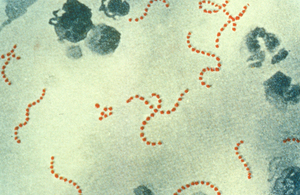 Scarlet fever should be treated with antibiotics to reduce risk of complications. Once children or adults are diagnosed with scarlet fever we strongly advise them to stay at home until at least 24 hours after the start of antibiotic treatment to avoid passing on the infection. Scarlet fever is mainly a childhood disease and is most common between the ages of 2 and 8 years. It was once a very dangerous infection but has now become much less serious. There is currently no vaccine for scarlet fever.